This intensive overnight moisturizer supports the four essential building blocks of healthy skin appearance: proteins, micronutrients, water and lipids. Retinol helps improve cell turnover, visibly enhancing skin firmness and elasticity and diminishing the look of lines and wrinkles. 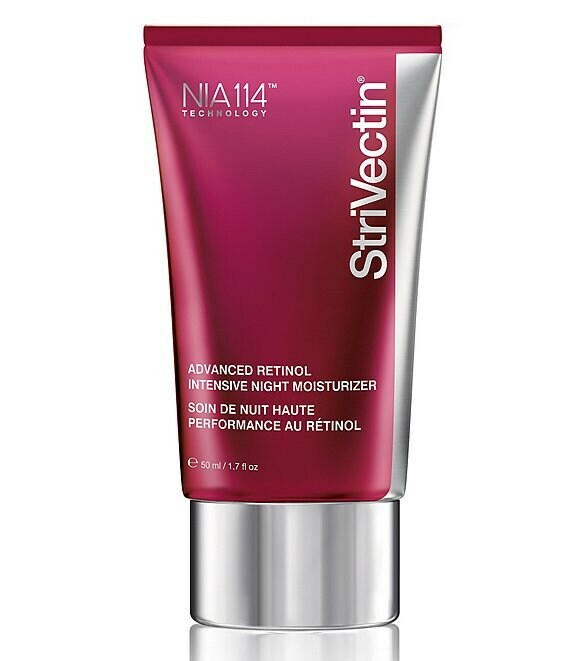 Patented NIA-114 technology nourishes the moisture barrier to provide visible age fighting efficacy and limit the sensitivity common to Retinol. Formulated with Copper Tripeptides, plant lipids and hyaluronic acid that help lock in moisture and defend against damage caused by environmental aggressors. The supercharged formula helps restore skin to its healthiest state during sleep for a more refined, youthful-looking appearance. Complete your Advanced Retinol regimen with the addition of StriVectin's Advanced Retinol Pore Refiner, Advanced Retinol Eye Cream, Concentrated Serum and Day Moisturizer Broad Spectrum SPF 30.